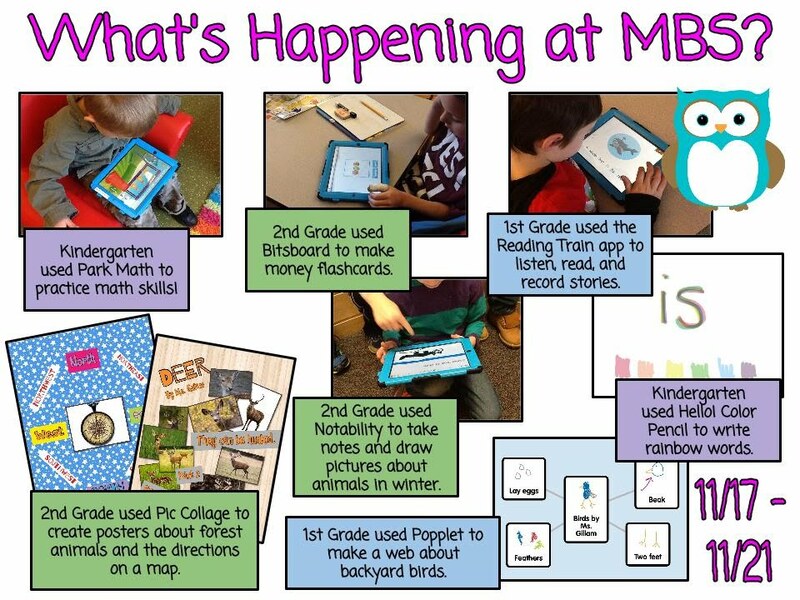 A lot of great things happened this week with iPads! Here is a summary of what happened! Kindergarten used the app Little Writer to trace letters and numbers. 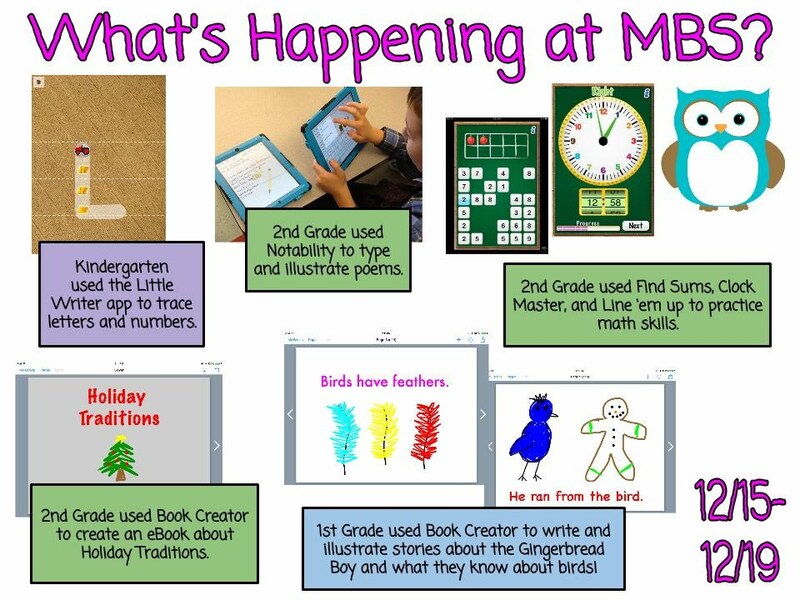 1st Graders used the Book Creator app to write and illustrate stories about the Gingerbread Man and share what they know about birds. 2nd Graders used the app Notability to type and illustrate poems. They also use the app Book Creator to create an ebook about holiday traditions. 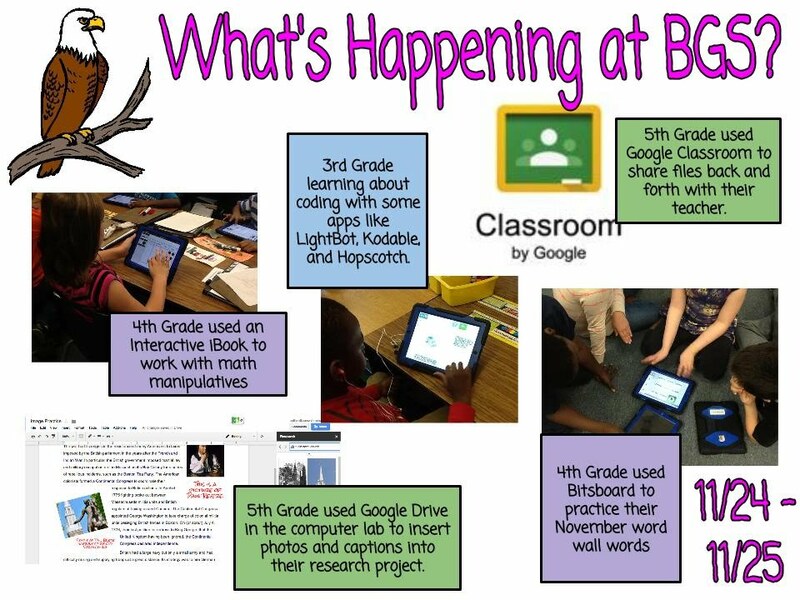 Click here to read some of the holiday traditions eBooks that the 2nd graders wrote. In addition, the used some Math Tappers apps like Find Sums and ClockMaster to practice math skills. If you use the Destiny Quest App - there s a section that shows the new additions so you can see specific titles. There is also a list of which books have been added this year! The BGS Fall Book Fair is next week, September 8th through September 12th. The book fair will also be open Thursday evening 9/11 during Back to School Night. Hope to see you there! Some of the 5th Grade classes used the app 30 Hands to create a commercial for one of the US Regions. Click here to watch some of the commercials from Mrs. Wilke's 5th Grade Class. Check out one of the video about the Southeast! Concord School District Youth Art Month Exhibit is on display at the Steeplegate Mall from March 5th through April 15th. Opening reception from 5:30 to 7pm on Thursday, March 6th. Hope to see you there! Original Works art fundraiser has begun! Our art work has been shipped to the company and you will receive your preview magnets and order forms Tuesday, March 4th! Orders and payments will be due on or before Friday, March 14th. Products will be in by April 9th and make great Mother's Day and Father's Day gifts! All proceeds benefit the art program at BGS. BGS is still in first place for the A+ Rewards program at the Steeplegate Mall! ... In January BGS was awarded $750 for being in first place!!! Thanks to all who are saving their mall store receipts and putting them in the rainbow mailbox in the library! Keep up the great work. The contest ends April 30th and if we are still in first place we will win $2000!!! So, keep those receipts coming! !